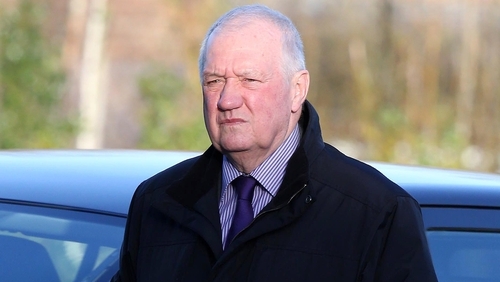 Hillsborough match commander David Duckenfield will face trial for manslaughter - after an application to halt his prosecution was rejected. The former South Yorkshire Police chief superintendent is charged with the manslaughter by gross negligence of 95 Liverpool fans who died in the disaster at the FA Cup semi-final on 15 April 1989. Ben Myers QC, defending Mr Duckenfield, made an application to stay the prosecution at Preston Crown Court in England today, but it was refused by judge Peter Openshaw. Mr Duckenfield, 73, is due to stand trial on 14 January next year alongside former Sheffield Wednesday club secretary Graham Mackrell, 68, who is charged with an offence involving the stadium safety certificate and a health and safety offence. Earlier this year, the Crown Prosecution Service successfully applied to lift a historical stay - halting further legal proceedings - on Mr Duckenfield which was put in place in 2000. Three other defendants - retired police officers Donald Denton, 80, and Alan Foster, 71, and retired solicitor Peter Metcalf, 68, who acted for South Yorkshire Police following the 1989 disaster - are scheduled to go on trial in January 2019 charged with committing acts intended to pervert the course of justice.